Hans Wilsdorf, founder of Rolex, in 1942. Rolex surprised everyone at Baselworld 2016 when it reintroduced the Air-King, a model it had dropped from its collection two years earlier. The revamped Air-King’s aviation backstory featured extensively in its launch, giving an example of a new trend in the industry. The Air-King was, for many years, Rolex‘s entry-level, simple yet robust three-hander, originally created in honor of pilots and their bravery. It originated in the mid-1930s when, prior to World War II, RAF pilots wore Rolex Oyster (Bubbleback) wristwatches as they were slightly larger than British standard issue at the time, and much more reliable. 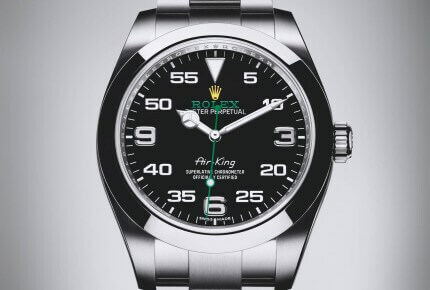 Once word of this reached Rolex, the brand set about making a whole new family of wristwatches, such as the Air-Lion, Air-King, Air-Tiger and Air-Giant. The first actual Air-King (Ref. 4925) saw daylight in 1945 and combined aspects of all the “Air” watches into a single model. 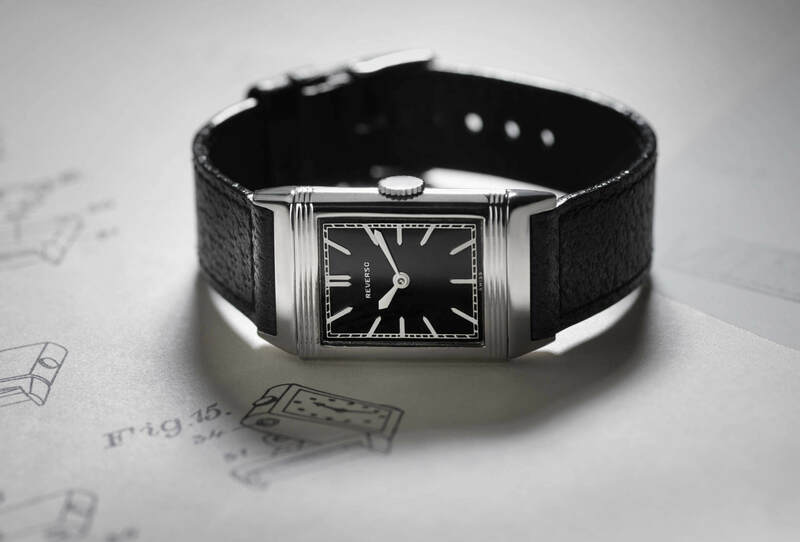 The Air-King remained relatively untouched throughout the 1950s and 1960s, with the exception of a few visual refinements that brought it closer to another legend, the Explorer. The most iconic reference has to be Ref. 5500, introduced in 1957 and which appeared in numerous configurations throughout its 37-year run. Further adaptations and two references (14000 and 14010) later, in 2007 the Air-King underwent a considerable update to become the 1142XX. This new series featured a thicker case, was slightly larger, and had an engine-turned bezel (although this was later dropped). The 1142XX was also the first Air-King to be officially COSC-certified. The Oyster bracelet is sturdy, looks great and feels comfortable on the wrist. Today’s Air-King Ref. 116900 shares the same pedigree and simplicity as its forefathers, but with a larger 40mm size in keeping with the market. It has all the bells and whistles of a modern watch, including Calibre 3131 (which it shares with the Milgauss) inside a soft iron inner case to protect it from magnetic fields (anti-magnetism is watchmaking’s new big thing). The Oyster bracelet is sturdy, looks great and feels comfortable on the wrist. The case is extremely beautiful, and the solid back and screw-down crown ensure 100-metre water-resistance. The satin black dial has something of a split personality: Rolex has designed it to resemble the bespoke analog instruments which the company created as backups for the Bloodhound SSC jet-powered car, with a hint of the iconic Explorer dial in the white gold 3-6-9 hour markers. Other details include the yellow crown under the luminous white gold triangle at 12 o’clock, the Rolex name in deep green, and of course “Air-King” in a font that suggests past Air-Kings. Last but not least, it comes with COSC certification and a redefined Superlative Chronometer Certification that guarantees, among other factors, variation in rate of -2/+2 seconds per day. 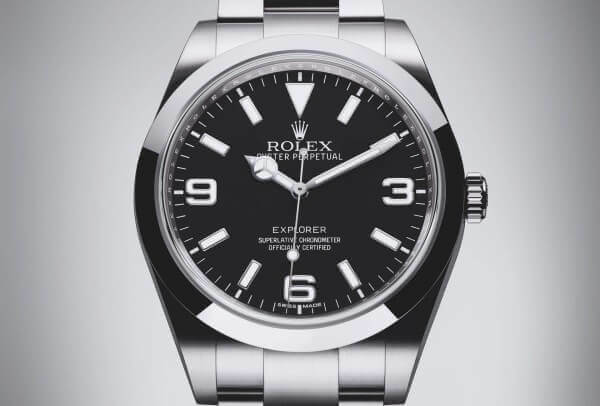 The example of the Rolex Air-King is fascinating not only because of the model itself, but because it reveals a trend in the industry that many companies are following, namely to reissue a watch based on its history, or simply to introduce it and link it to a specific story, thereby giving the watch a clearly defined raison d’être. Examples are legion: Panerai, Tudor, Omega with the Globemaster and the Seamaster Master Co-Axial, Girard-Perregaux with the Laureato, relaunched this year in celebration of the company’s 225th anniversary despite the fact that the first Laureato was in fact a quartz watch. Hans Wilsdorf was a marketing genius. Associating a watch with a story serves a dual purpose. Firstly, it helps the client identify with the watch; remember that the market for luxury goods is based largely on emotion. Secondly, it helps position the model in a specific market segment. This storytelling tactic goes way back, and Rolex was a pioneer. 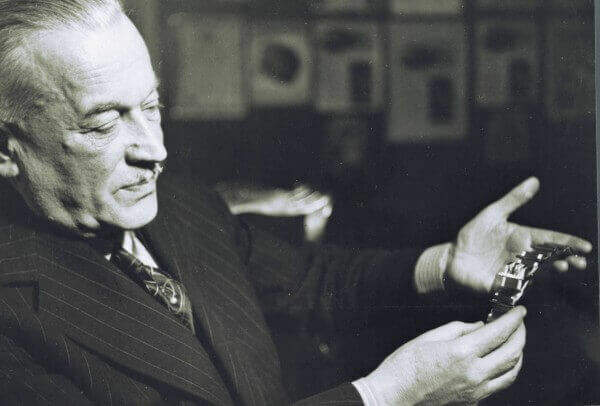 From the very beginning, it was always about the qualities each Rolex had to offer, such as reliability, simplicity, accuracy and waterproofness, plus the fact that Hans Wilsdorf was a marketing genius. Others soon followed; during the 1960s and 70s, there wasn’t a watch that didn’t have links to a story, an event, an exploration, an experiment or a heroic feat. Mechanical watches were a necessity back then. Now that we wear watches as accessories or to make a statement, what’s the point? The answer is simple. A good story sells more to the public than the actual tech and innovations of each specific model, and sometimes even more than the actual design of the watch. People identify with the stories behind the watch. 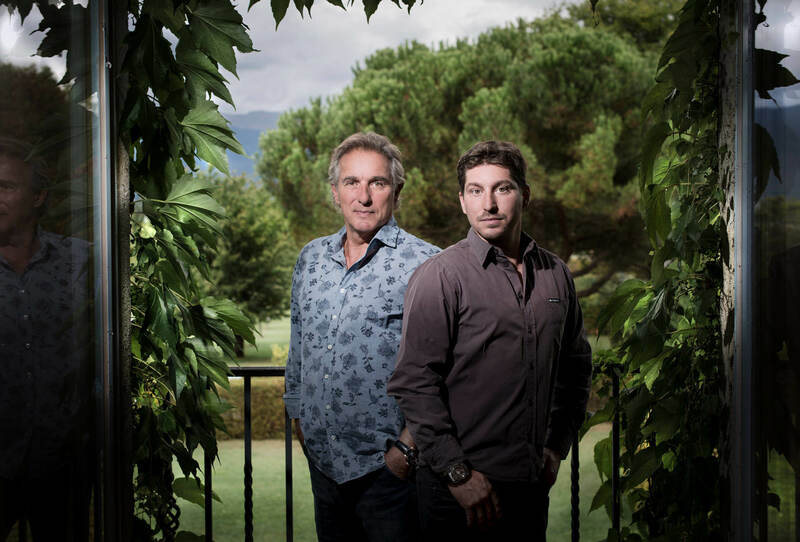 Any story will do, and if there isn’t one then someone will invent it, even if this means connecting obscure dots, as Georges Kern, Chief Executive of IWC, bluntly admitted about the Portofino in a presentation a few years back. Companies use stories from way back, stories that had been just about forgotten, to connect the dots and create a halo around the product. 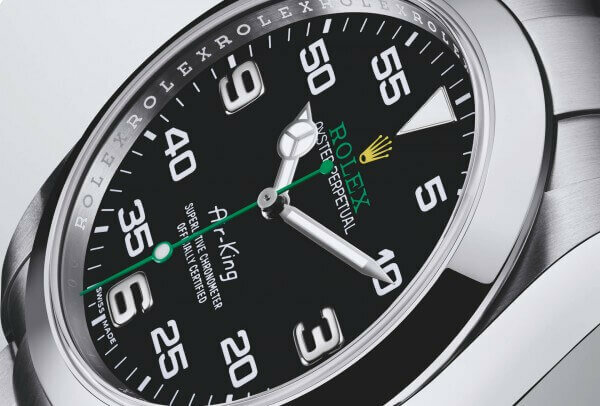 But back to the Air-King launch, for which Rolex made ample reference to its aviation connections, created solely by Hans Wilsdorf, and linked its design to the instruments of the Bloodhound SSC jet-powered car. 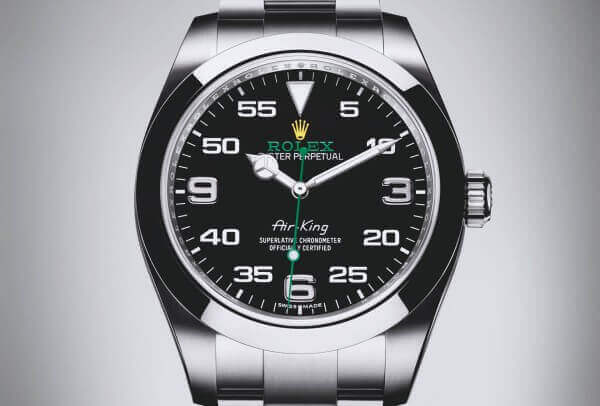 Does Rolex really need to sell the Air-King with this story attached? After all, it was created as a tribute to pilots who had worn different models of Rolex watch. The answer is yes, of course, because the story justifies pretty much the existence of this wristwatch. Rolex needs this connection in order to position the model in a specific market segment, and equally importantly to target other related products in the same segment, for instance the newly introduced IWC Mark XVIII. What is fascinating is that most of the time, companies use stories from way back, stories that had been just about forgotten, to connect the dots and create a halo around the product. Sometimes this is amply justified, as in the case of the Rolex Air-King; sometimes it’s pure fabrication. Regrettably, the line between the two isn’t always clear. Most companies perceive their own vintage watches as a threat. This marketing tactic, though old, has been blown out of proportion in recent years because of the surge in retro designs. Pretty much everything in the industry has succumbed to this urge to imitate styles from the past. While genuine vintage watches are still off-limits to a lot of people, for reasons ranging from high price to limitations in everyday usage and the knowledge such purchases require, the social media boom has made vintage more accessible than ever to a wider public. 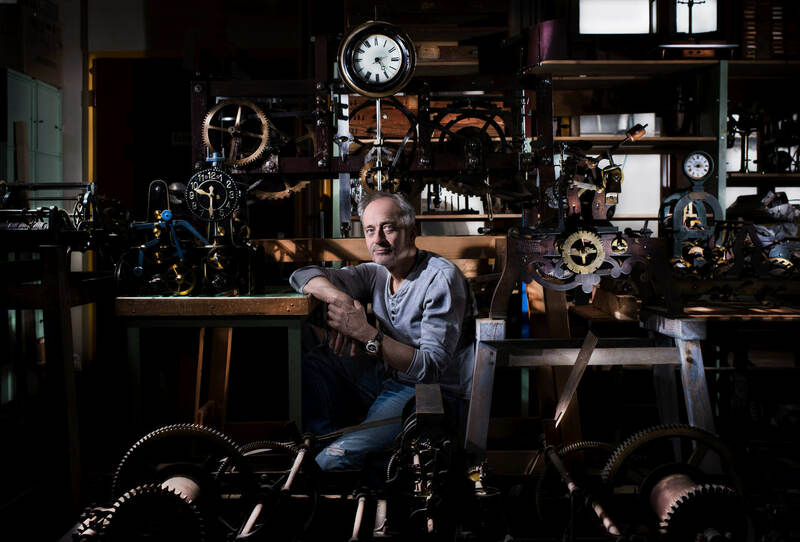 This has produced a market segment that wants vintage-inspired watches with a story attached, and the industry is obliging with retro watches that are more approachable and therefore a logical alternative to vintage. Remember that most companies perceive their own vintage watches as a threat. 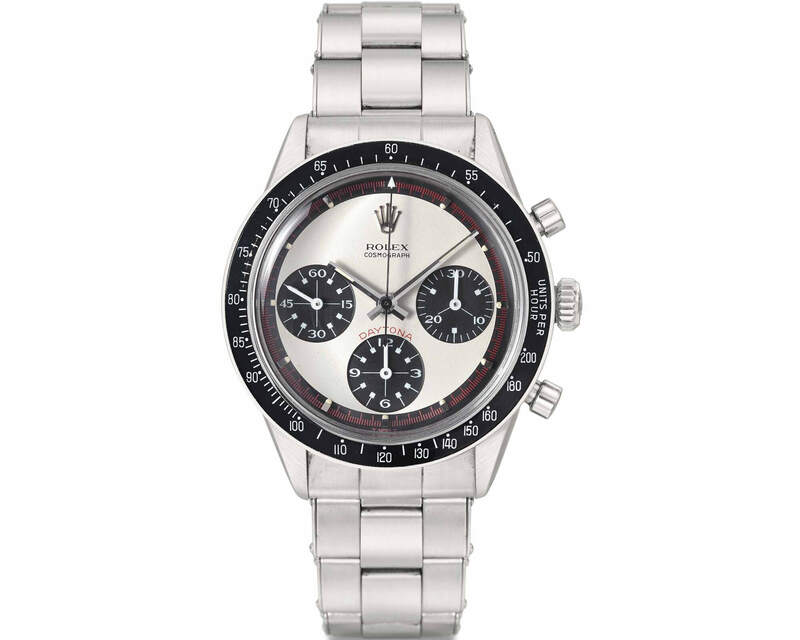 Most of the time, marketing departments begin by raiding dusty archives in search of vintage models that look interesting, then find ways to present a new retro watch to the public by creating a fascinating aura around it. The second step is to create a model that bears a strong resemblance to a vintage design, though usually with bigger dimensions together with “old school” and “cool” details such as yellowed Superluminova (JLC Deep Sea Vintage Chronograph) tropical straps (Oris Sixty-Five), NATO straps (Tudor Black Bay) or mesh bracelets (Zodiac Super Sea Wolf 68). All that remains is to put together a story that will accompany the new model in the media package; a story that takes from the original and continues the legacy. What is important is for the consumer to focus first and foremost on the product itself. Watches are now luxury items, and as such their existence and their potential success rely on their capacity to appeal to our emotions. A story – any story – is therefore critical. The trend described here will thus continue, since the power of the market cannot be ignored, and there is nothing wrong with this. The problem is that most stories are plucked out of thin air. What is important is for the consumer to focus first and foremost on the product itself, and not on a fabricated story that surrounds it. Secondly, the industry must somehow put this frenzy back into proportion. Credibility is a quality that can be easily lost, and once this happens it’s very difficult to regain.